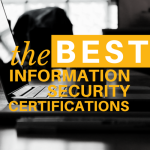 Have you been looking for definitive information on the CISA exam, but struggled to find anything of any real substance? The search is over, you just found the ultimate guide! Below I will cover the CISA exam fees, dates, requirements, exam content, and test locations to help prepare you for your exam. Let’s jump right into it. In spite of the fact that careers for CISA-qualified individuals are well paid, the CISA exam fee is hardly pocket change. That’s why it is completely understandable that you want to know how much cash you’ll need to spend to take the exam, so that you can then go on to earn an even higher salary. 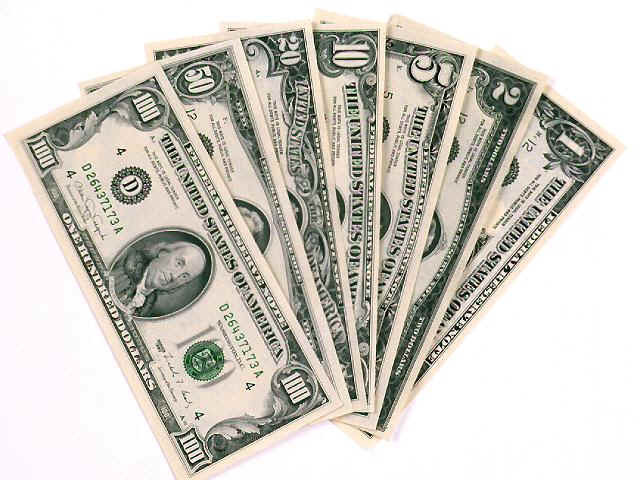 The CISA exam cost in 2014 is $600 if you register through ISACA. This price includes a discount of $75 for registering online. You can pay online, or mail a check to ISACA, or you can even pay by fax – it’s completely up to you. 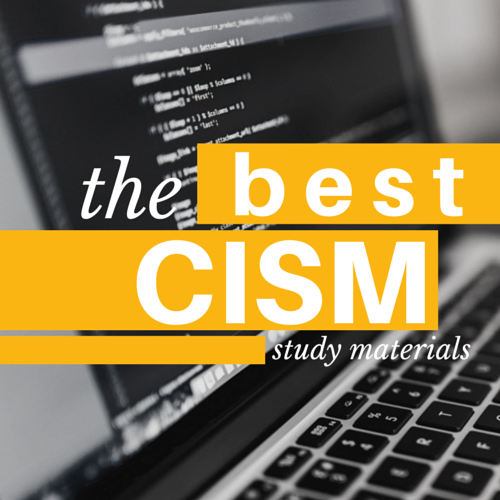 Here’s some motivation to make sure you study hard for the exam: If you get into a situation where you need to retake the CISA exam, you’ll have to pay the exam fee again. The CISA pass rate has not been published for the last few years, but historically it has always hovered around 50%. This makes it even more pertinent to study hard and use the best CISA study materials so you can avoid paying the exam fee more than once.The CISA exam is tough, but remember, the fact that it’s difficult is a key reason that CISA certification holders have so much money. The supply of people in this field is low, but the demand for CISA employees is high, which skyrockets their salaries. The CISA exam can be taken during the months of June, September and December.The first exam in 2014 will be held on the 14th June. Registration for that exam is already closed though, so the soonest one you can sign up for is in September 2014. The early registration deadline for that exam is on the 11th of June, and the final deadline is on the 21st of July 2014.The actual date of the September exam is September 6th. The next exam after that will be on the December 13th, and CISA registration for the that exam will open in mid-June.Something that’s useful to know is that your CISA exam results will always come back to you in time for you to register and retake the exam at the next available opportunity. So for instance, if you sign up for the September exam, your score will come back to you soon enough that, if you need to retake the exam, you’ll be able to do so in December, which in this scenario would be the soonest opportunity.ICASA’s website states that your results will be mailed to you approximately 8 weeks after the test date. Depending on your specific preferences, this information may or may not be sent to you via email too. 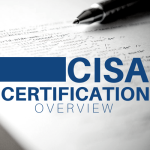 Your results package will also make it clear to you how to apply for CISA certification. Here’s a list of the requirements that you must meet in order to be able to claim the CISA qualification:1. 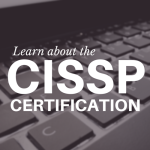 Pass the CISA exam. The CISA passing score is a mark of 450 or higher on the exam.2. Abide by the ISACA Code of Professional Ethics3. Promise to obey the CISA Continuing Professional Education Policy4. Gain at least 5 years of professional information systems auditing, control or security work experience. That said, if you meet particular education and general IS or audit experience requirements, then a waiver may be possible. This, however, is considered on a case-by-case basis.5. Comply with Information Systems Auditing StandardsNote: After you meet the CISA exam requirements and pass the exam itself, you will have 5 years from that date, in which to meet the other requirements and apply for your certification. If you don’t get this done within 5 years, your passing score on the exam will be deemed null and void. If you’ve passed the exam and believe that you meet those requirements, then you can begin the application for certification here.There is a fee of $50 for this application, and it can be paid here: www.isaca.org/cisapayThere’s also a yearly fee that you must pay to maintain this certification after you’ve been granted it. The fee is $40 per annum for ISACA members, and $75 for non-members. The CISA exam can be taken from multiple locations around the world, so there’s a good chance that you won’t have to travel too far to do it. Below is a list of the locations for the September 6, 2014 exam, in alphabetical order by country name.The exact location within each city for each exam will be decided once the CISA exam registration deadline date for that round of exams has passed. This is done to make the location of each exam as convenient as possible for the people who sign up. Those that sign up will be informed of the exact location of the exam via email.AUSTRALIA 6206 SydneyCANADA 6606 TorontoCHINA 6620 Beijing 6650 Shanghai 6680 Shenzhen CityCOLOMBIA 6702 BogotaENGLAND 9601 London 9602 ManchesterFRANCE 7201 ParisGERMANY 7302 FrankfurtGHANA 7450 AccraHONG KONG 7401 KowloonHUNGARY 7351 BudapestINDIA 7501 Chennai 7502 Mumbai 7503 New Delhi 7505 Bangalore 7506 HyderabadINDONESIA 7601 JakartaJAPAN 7903 TokyoKENYA 8050 NairobiMALAYSIA 8201 Kuala LumpurMEXICO 8303 Mexico CityNETHERLANDS 6401 UtrechtNIGERIA 8551 Lagos 8553 Abuja CenterPAKISTAN 8675 KarachiPHILIPPINES 8726 ManilaRUSSIA 9950 MoscowSINGAPORE 8901 SingaporeSOUTH AFRICA 6101 JohannesburgSOUTH KOREA 9001 SeoulSPAIN 9101 MadridSWITZERLAND 9301 ZurichTAIWAN 9351 TaipeiTHAILAND 9401 BangkokTURKEY 9450 IstanbulUNITED ARAB EMIRATES 9501 Dubai———————————————–UNITED STATESCALIFORNIA 0401 Los Angeles 0405 San JoseCOLORADO 0501 DenverDISTRICT OF COLUMBIA 0701 Washington, DCFLORIDA 0804 TampaGEORGIA 0901 AtlantaILLINOIS 1201 ChicagoMARYLAND 1801 BaltimoreMASSACHUSETTS 1901 BostonNEW YORK 2603 New York CityPENNSYLVANIA 3102 PhiladelphiaTEXAS 3502 Dallas 3503 HoustonVIRGINIA 3701 RichmondWASHINGTON 3801 Seattle Now that you know what it takes to CRUSH the CISA exam, your next step is to find the Best CISA study materials to help you pass your first time through!